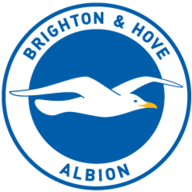 Lewis Dunk capped a dramatic Brighton comeback to seal a 2-1 victory at Fulham that extended their unbeaten run to 18 games and moved them back to the head of the Sky Bet Championship table. The visitors were trailing to Lucas Piazon's 55th-minute opening goal after Brighton keeper David Stockdale had earlier denied his former club by saving a first-half penalty from Stefan Johansen. But Fulham - who were again without Chris Martin after the striker had made himself unavailable for Friday's meeting with Reading - were unable to hold on to their lead and were undone when Brighton struck two goals in two minutes with Tomer Hemed levelling from the penalty spot before Dunk headed the 75th-minute winner. Chris Hughton's side had been second best for much of the game but Fulham paid the price for failing to make more of their early dominance. Brighton, meanwhile, made the most of Newcastle's failure to beat Blackburn to reclaim top spot. Martin - who is keen to return to parent club Derby despite having joined Fulham on a season-long loan - was replaced by Matt Smith to spearhead the home side's attack. And Smith quickly made his physical presence felt, unsettling the Brighton defence and playing a role in the move that led to Albion right-back Bruno conceding the 14th-minute penalty. Smith's height caused confusion among the visiting backline who failed to clear Kevin McDonald's cross, with Bruno handling the loose ball under pressure from Scott Malone. Referee Stuart Attwell awarded the penalty but Stockdale prevented his side from falling behind when he dived to his right to save against his former club. 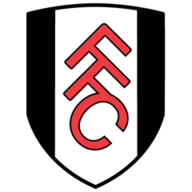 Fulham continued to dominate and finally found a way past Stockdale 10 minutes after the restart when Tom Cairney's pass picked out Piazon on the edge of the Brighton box. The on-loan Chelsea midfielder moved the ball onto his right foot before curling a low shot inside the far post for his fourth Fulham goal. Piazon could have added a second when he directed a header straight at Stockdale before Brighton finally threatened through Sam Baldock whose attempted chip was well saved by David Button. Baldock made way for Hemed and the arrival of the substitute triggered Brighton's comeback. The Israel international was on hand to pick up a loose ball after Anthony Knockaert's 73rd-minute forward run was halted but was then brought down by Ragnar Sigurdsson and converted from the spot when the referee awarded his second penalty of the game. Then two minutes later Brighton were ahead when Button could only parry Knockaert's shot and Dunk - who had started the move with a run from deep - followed up to head home. "We signed the contract, all three sides - Derby, Fulham and Chris Martin - and there is no option for a recall. "This is nice because they offer him more money and more years, but this solution does not exist. He was going to stay until the end of the season. That is my position and Fulham's position. And that's it." "We probably didn't deserve the win but we showed enough. "There were periods in the game where Fulham looked very good. It is very difficult when you are playing a team as expansive as these are. You have to make sure you don't allow them opportunities to play. "We found it difficult but we came away with the best chance in the first half but we needed a goalkeeper who was very good today and sometimes those ingredients win you games."